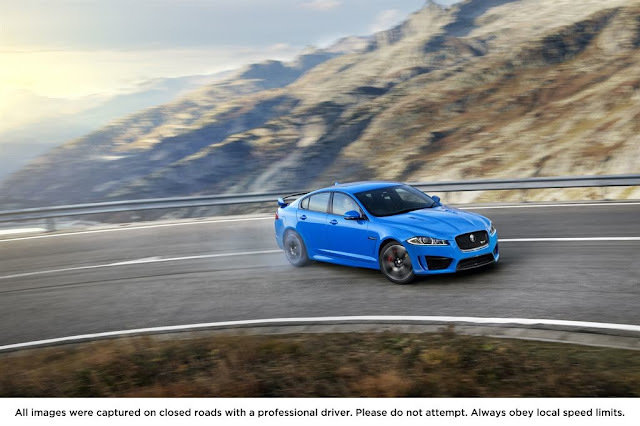 Today, I went to an autocross day sponsored by Jaguar to put their latest models through their paces in a manner not generally suitable for the open road. 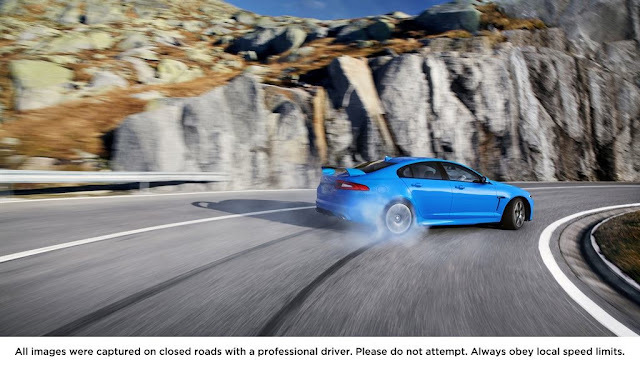 While drifting an XJ and throwing an XKR around a corner was undeniably fun, I was surprised and ecstatic when the Jaguar marketing guy pointed toward a brand-spanking-new Italian Racing Red XFR-S and asked me if I wanted to take it for a spin, on a closed course no less. Me, trying to be nonchalant said “sure.” But, I think he may have seen through my mask of cool nonchalance when I nearly knocked the poor guy over sprinting to the Jag’s driver’s seat. Before I get into what it was like to actually drive the $99,000 2014 Jaguar XFR-S in a spirited manner (I think this may actually be the first published review of a drive in the XFR-S), here is a little primer on the car. 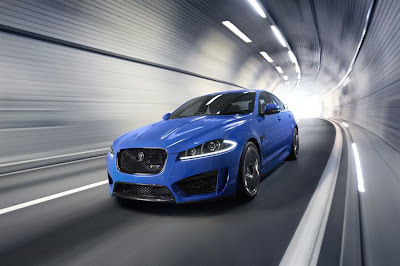 As the baddest high performance member of the Jaguar XF clan and the most powerful Jaguar sedan ever produced, the XFR-S boasts the 550 horse 502 pound-feet supercharged 5.0 liter V8 as the XKR-S coupe. For those keeping score, that’s a 40 horse and 41 pound-feet bump over the XFR, all the while matching the XFR’s 23 mpg highway. 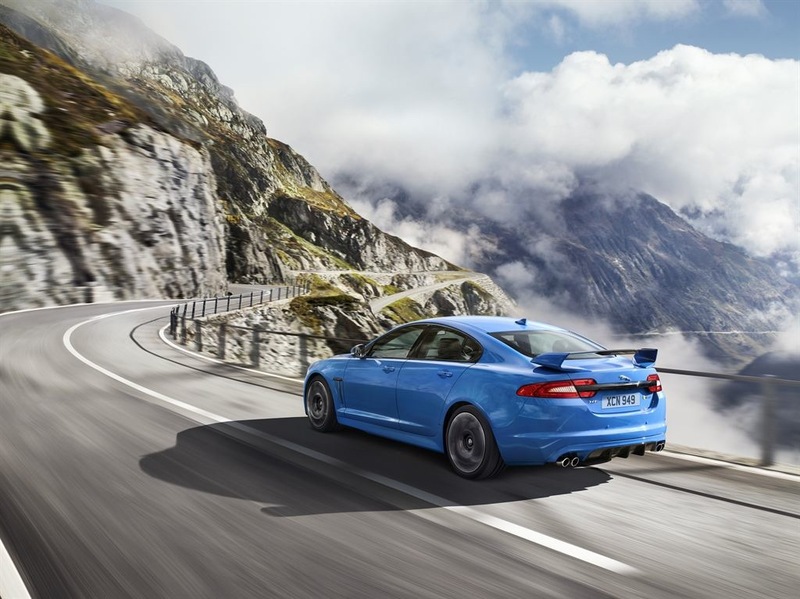 Routing that power through a ZF eight-speed Quickshift transmission and the XFR-S hits 60 miles-per-hour in a scant 4.4s. 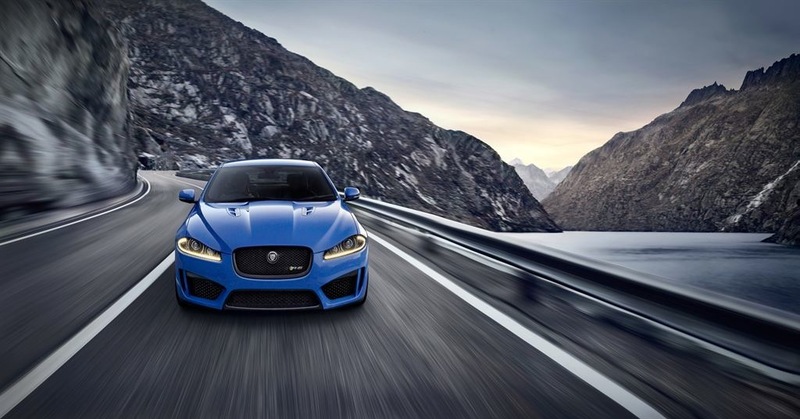 The XFR-S is equipped with Jaguar’s Electronic Active Differential and Dynamic Stability Control systems, though they have been re-tuned to maximize the XFR-S’s increased grunt. 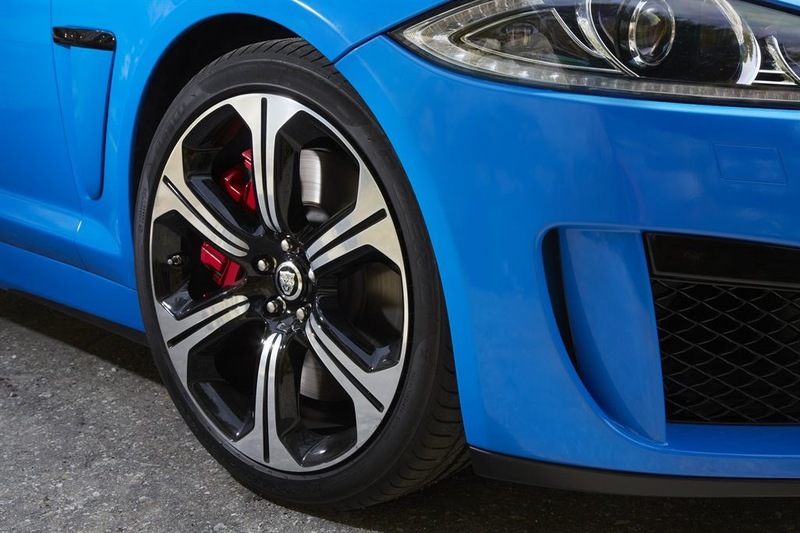 Thorough front and rear suspension upgrades better steering response and increase lateral stiffness up to 30 percent, which you can really tell on hard acceleration and in the turns (more on that later). Aerodynamic changes, like an absurdly large carbon fiber wing and rear diffuser, set the XFR-S apart visually and reduce lift by 68 percent. 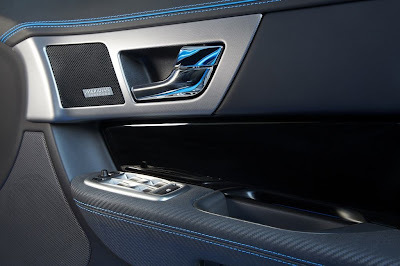 Inside its all contrast stitching, carbon fiber, bolstered seats and dark Alcantara. It’s a very nice place to be. Okay, so what’s it like to drive? So glad you asked. In a word… smooth. 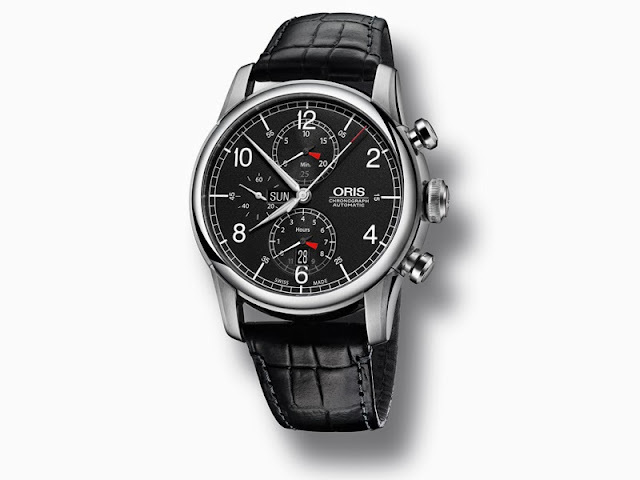 Fast, precise, confident and… smooth. When climbing into most 550 horse cars you generally have to do just that, climb. They’re often low sportscars with thick door sills. Not so with the Jaguar XFR-S. 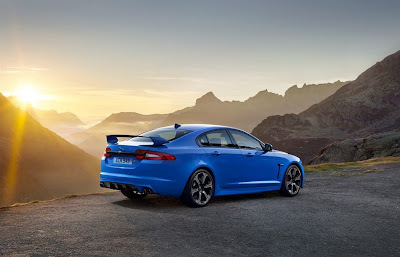 While it is lower than a regular XF, it is still a fairly large sedan, so ingress and egress is easy. The driving position is fantastic. 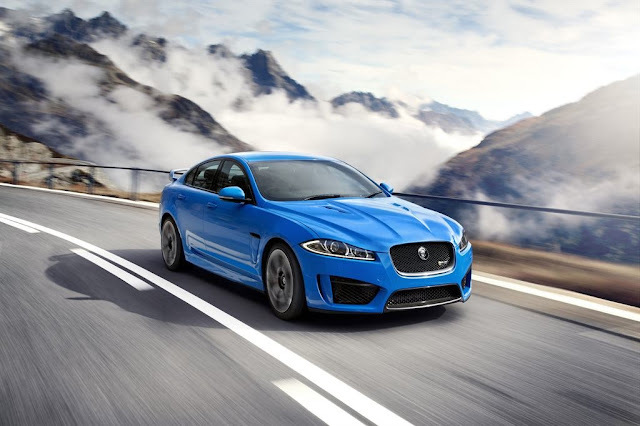 With Jaguar’s 20-way adjustable seats and power tilt and telescoping steering wheel there is no reason not to find just the right fit. The seats’ power adjustable bolsters are also quite nice as you can essentially decide whether your seat is a slip-and-slide or a hug from your dear aunt Ida. I opt for Ida. With an air of expectation of what’s to come, I step on the brake and hold down the start/stop button. 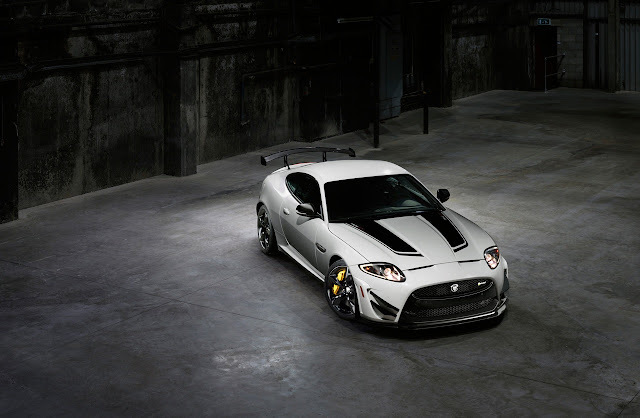 On ignition you’re treated to a sonorous V8 rumble that you feel as much as hear. Hit the gas and that rumble very quickly turns into a roar. 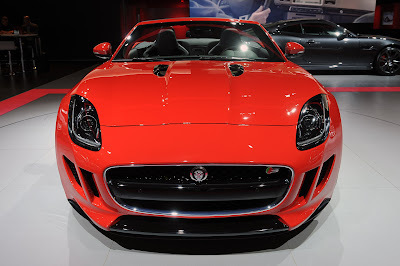 Man, this car sounds good, way better I ever would image a Jaguar sedan would sound. I knew then that I was in for a very fun drive. 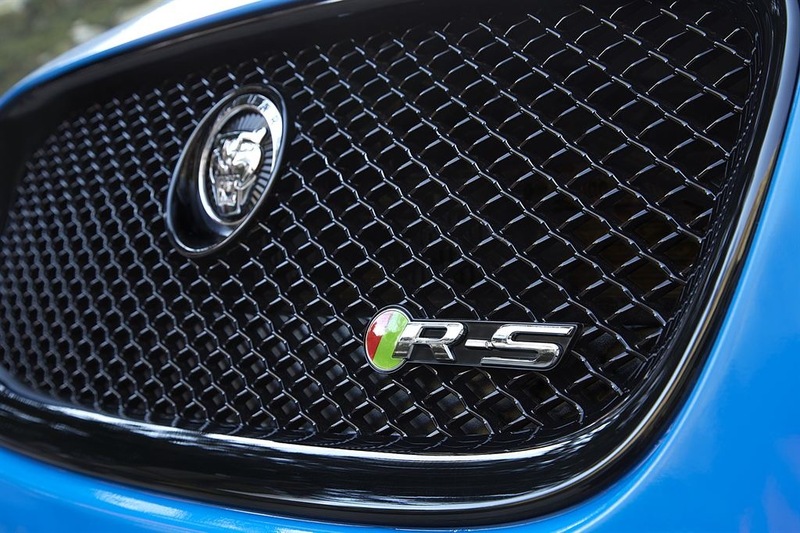 Spin the XFR-S’s gear selector right past drive and into sport, and I’m all set to go. I take a second to let a wayward pedestrian pass in front of me and pull to the starting line. Yay. The first part of the course is a short straightaway into a hairpin turn. Double yay. I punch the accelerator and I’m off in a cloud of dust and squealing tires. Sixty passes in 4.4 seconds. The acceleration is strong, linear and constant but still pins you to the seat. I keep the go-pedal floored until around 80 mph before braking into the turn, hard. I go from 80 to what feels like a crawl in no time flat. The Jag’s big brakes clamp down and shed speed remarkably well. There isn’t even a hint of wobble in the wheel under very hard braking. Like I said… smooth. The XFR-S’s stiffened suspension and various stability and differential control systems are set to a minimally invasive setting. Even without any insistent computer forcing me to slow down, the medium-sized Jag corners incredibly flat and precise. The steering isn’t quite as hard as I would like, but apexes are easy to find and even easier to hit. In theory the the tires squeal, but I’m too focused on the drive to hear them. Reluctantly, after entirely too short a time, I pull the XFR-S back into its parking spot and climb out. But, I climb out having driven the Jaguar XFR-S, one of the best high performance sedans I have ever experienced. I am very very impressed with this car. It goes like the dickens, stops like it runs into a brick wall and turns like it’s on rails. The Jaguar XFR-S hits dealers this summer with a price tag starting at $99,000. Not cheap, but well worth a look.